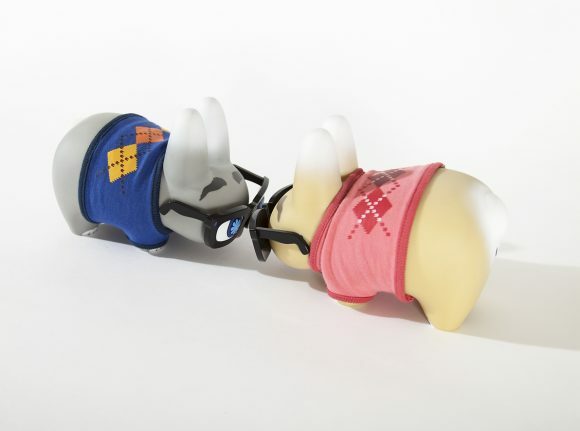 The NEW Scott Tolleson Pipken Labbit Now Available! 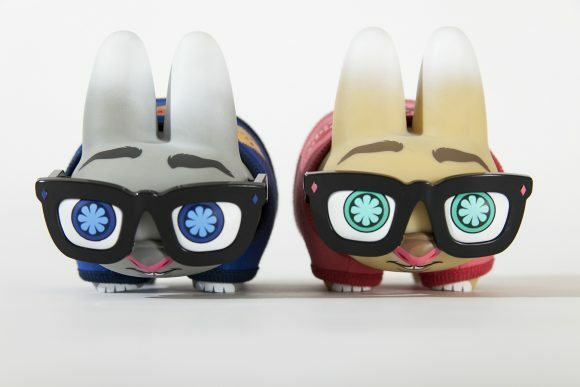 Our favorite…Chris Holt aka the Toy Viking is here to tell you all about the new cuteness of the Scott Tolleson Pipken Labbit! Ok, let’s just go ahead and talk about the best part of Kidrobot and Scott Tolleson’s latest creation: the real and removable argyle sweater. In the colder months, Pipken will be completely toasty courtesy of said fashionable outerwear. But seasons change and when the days get longer and warmer he can shed his burdensome wardrobe and stay ultra cool. Don’t be shy, little Pipken…be comfortable! You don’t need an intense pair of spectacles to see how cute this little guy is. But if you happen to have a prescription as strong as Pipken you could probably read the back of a cereal box from two blocks away, which would be a hit at any party I’ve ever been to. And just when you think the level of cute has reached critical mass you are suddenly hit with the realization that there is not one but TWO versions to collect!! Two, as in twice as many ways that you can display them. You could send them on dates in different parts of your house or take them to work and explain the very extensive and detailed backstory of their lives together to your coworkers. Trust me, they’ll love it!